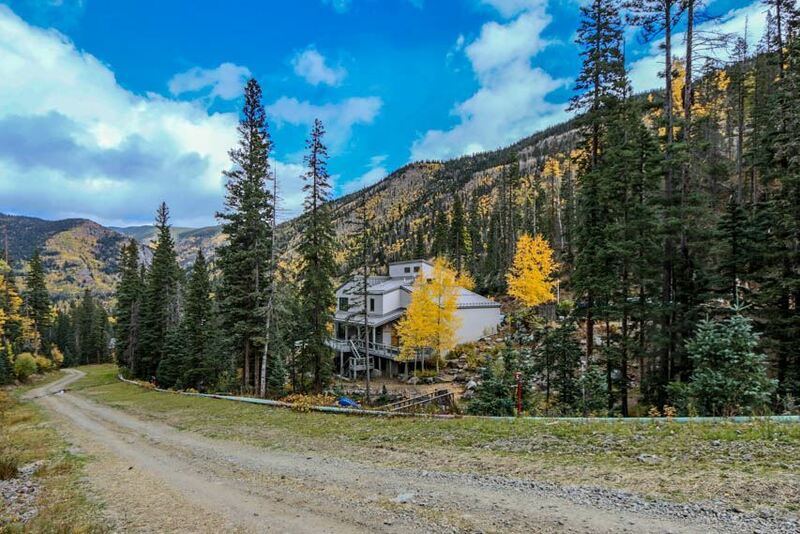 When you live in the Land of Enchantment, don't you want a home that's as enchanting as the environment in which it&apos;s set? 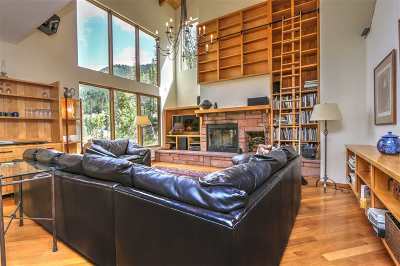 This contemporary five-level home is practically at the top of the world in the spectacular Village of Taos Ski Valley, crown jewel of Northern New Mexico's rugged high desert, where you can ski or board the steep and deep every winter, hike or mountain bike in spring, summer, and autumn, and take advantage of the area's rich artistic, cultural, and culinary heritage in any season. 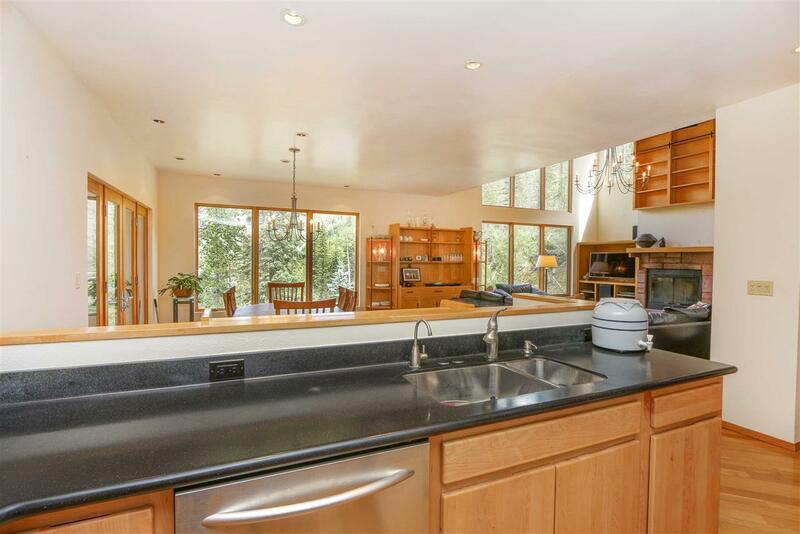 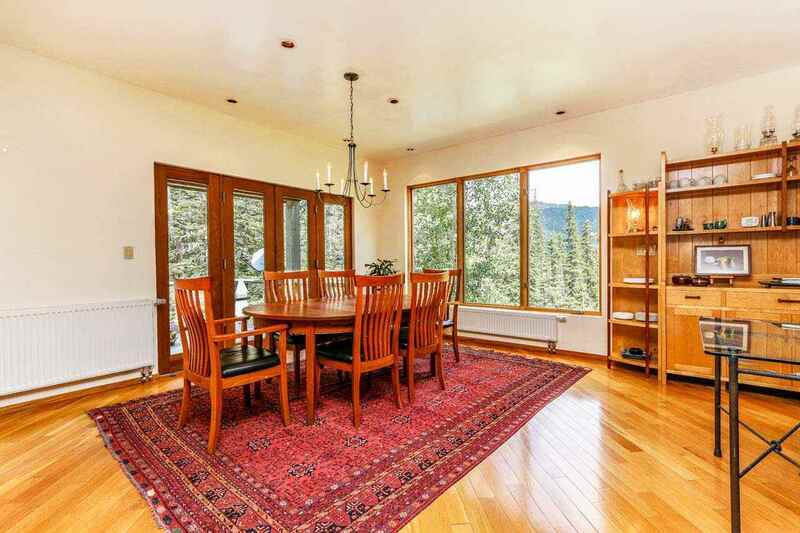 Big windows let in light and gorgeous views of the surrounding forest and peaks. 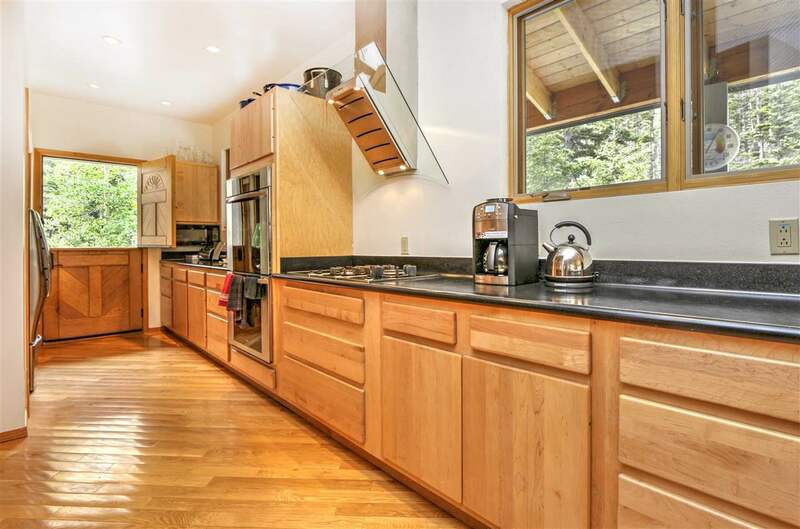 Blond wood, neutral paint, sizable rooms, and vertical open space add to the spacious feel of this 3346sf home. The front door opens to an entryway in the middle level. 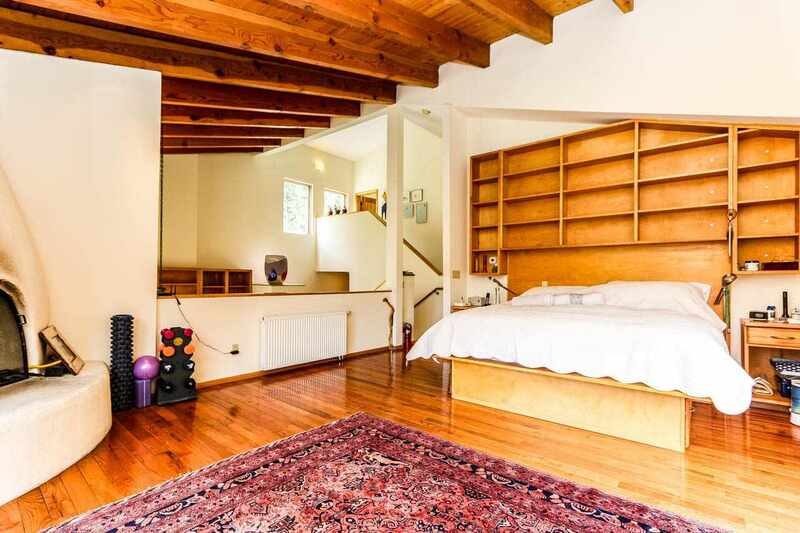 At this level is a bedroom nicknamed the Bunk Room, where three bunk beds sleep six guests. One flight of stairs down is the great room, which encompasses an impressive living room with a focal-point wood-burning stone fireplace surrounded by built-in shelves (complete with library ladder), a dedicated dining area, and a top-of-the-line kitchen with sleek black counter tops complemented by stainless steel appliancesâa Sub-Zero side by side fridge/freezer, a built-in Miele range fueled by both gas and electric, a Miele hood that's a work of art unto itself, Miele double ovens, a KitchenAid dishwasher, and LG front-load washer and front-load dryer. 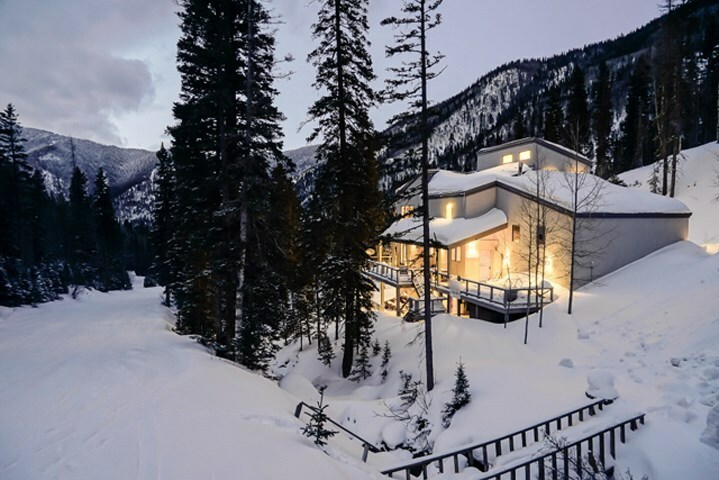 A dutch door leads outdoors to a vast deck, where you can soak in the hot tub, enjoy your morning coffee or evening wine, and through the trees glimpse skiers and boarders on the return trail. 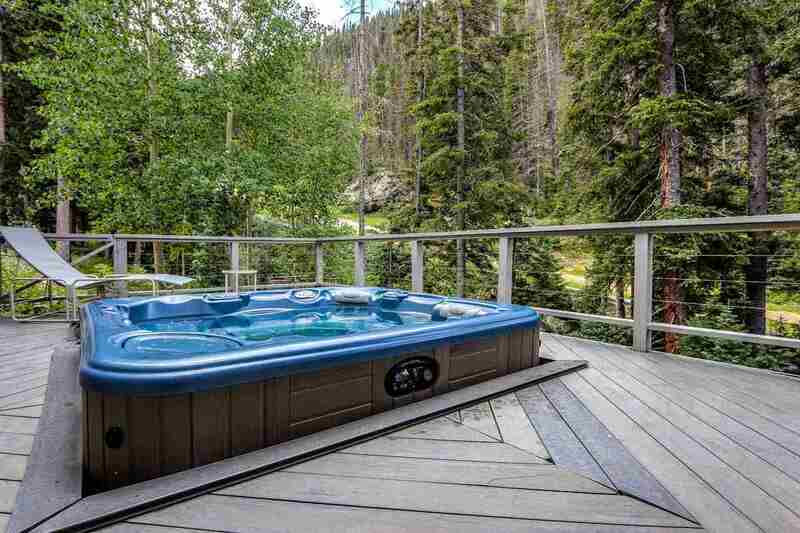 On the deck are a connected propane grill and prep table, both to transfer to the new owner. 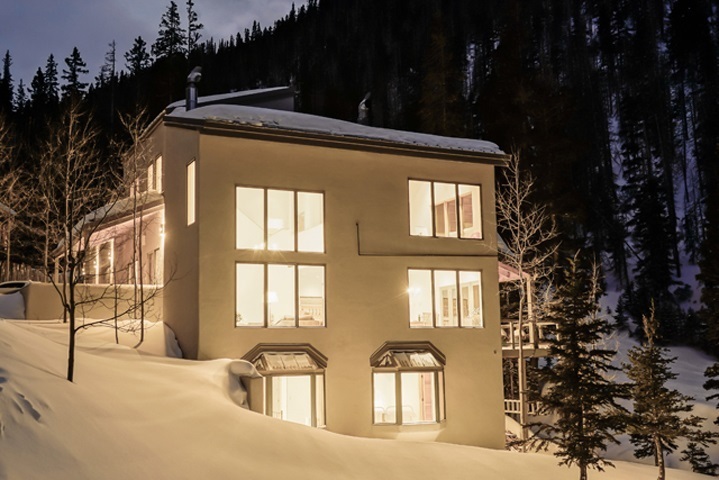 (This property is practically ski-in/ski-out. Just cross a bridge to access the return trail.) 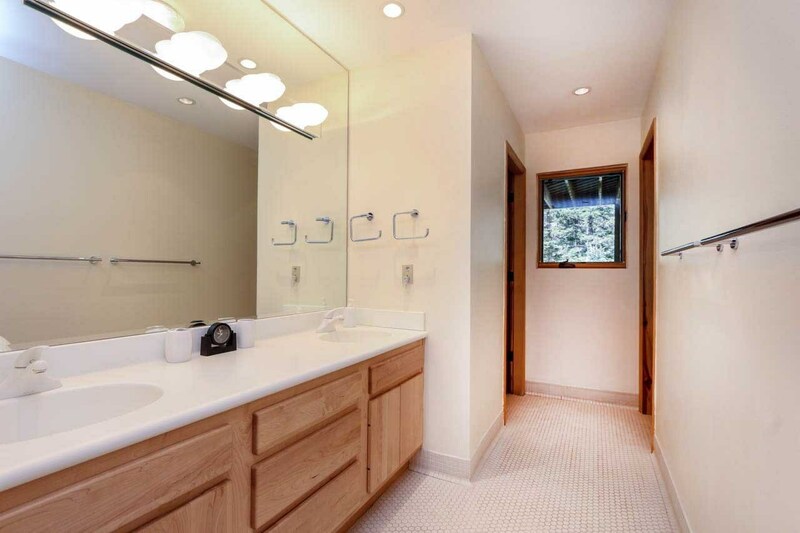 On this level of the home, you will find a half-bath. 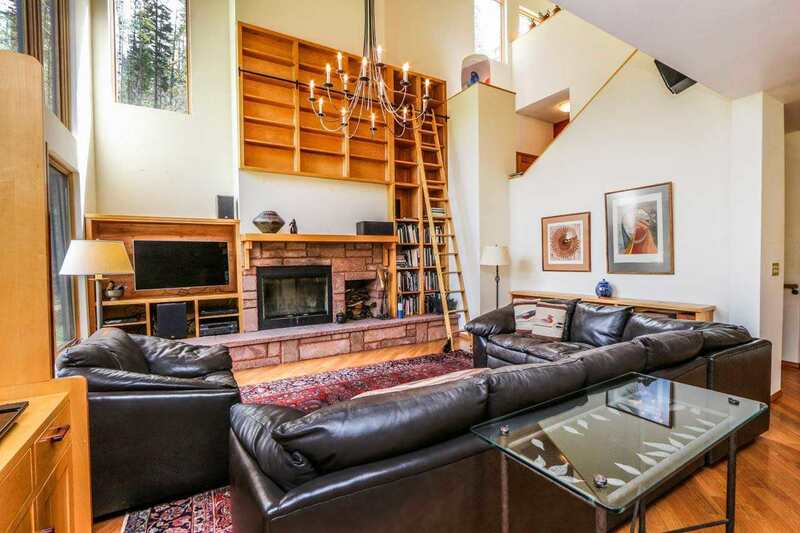 Down another flight of stairs, you'll find the carpeted study/sitting room, with big bay windows, a built-in L-shaped desk, and a half-wall that divides it from a room tiled with rubber where you can store your skis and other outdoor gear; there's even a workbench where you can tune your skis. 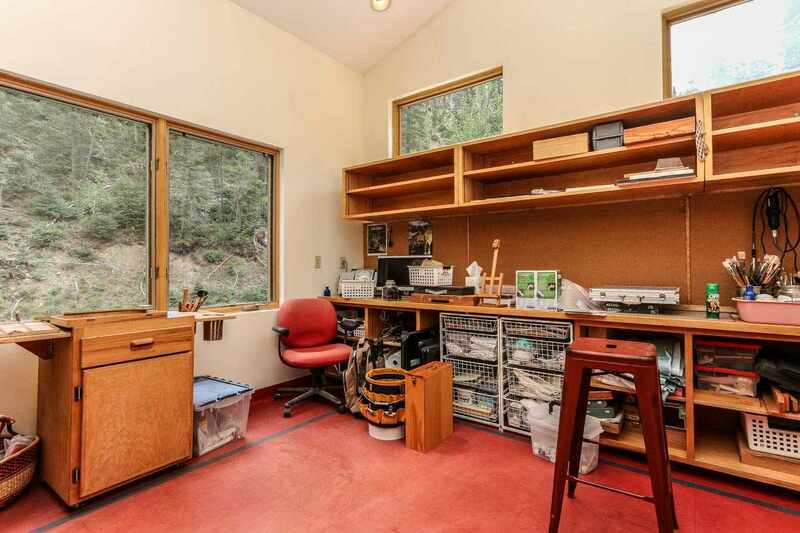 Handily, there's a door outside to the deck. 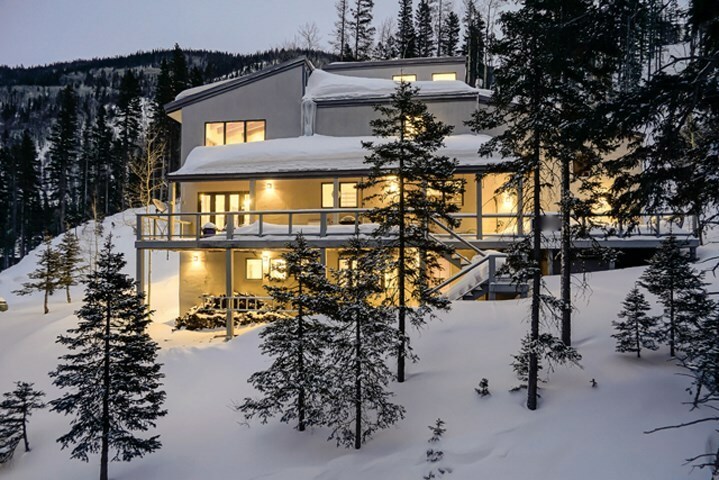 This level of the home also includes a large under-stair storage closet, two guestrooms, and a guest bath with two sinks and a deep soaking tub and shower. 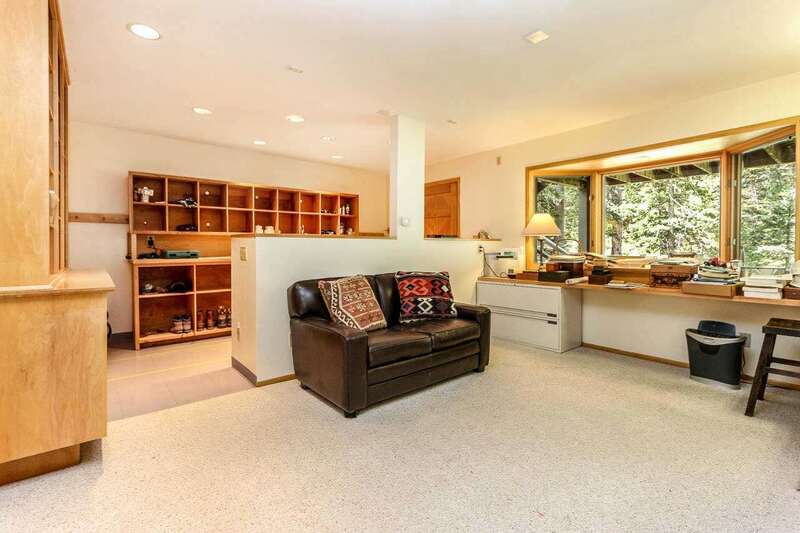 Both bedrooms have large closets and bay windows. 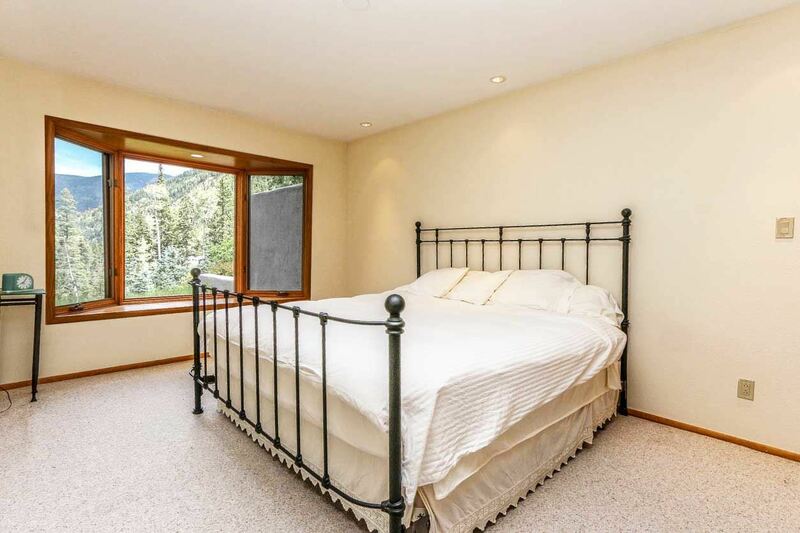 Up three flights of stairs, you'll find yourself in the roomy master suite. 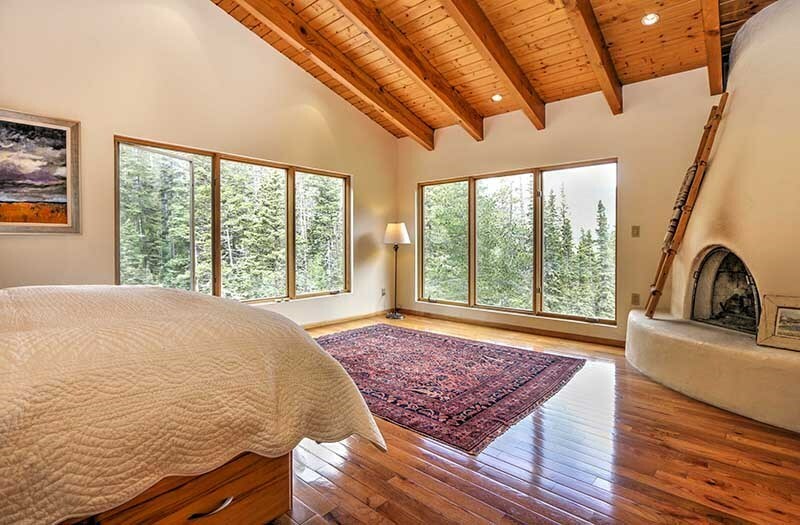 The bedroom has a soaring vaulted T&G/beam ceiling, a striking corner kiva fireplace (gas-fueled for your convenience), large windows overlooking the return trail and the mountains, and built-in shelving. 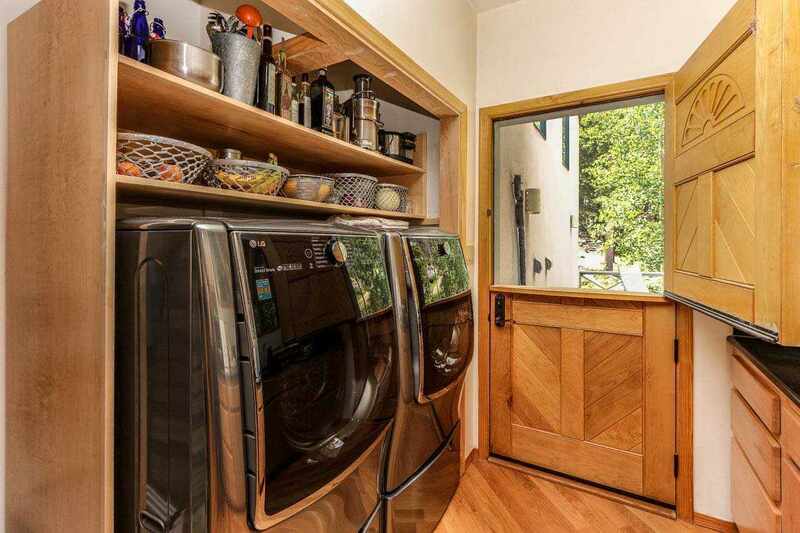 A large master closet features more great built-ins. 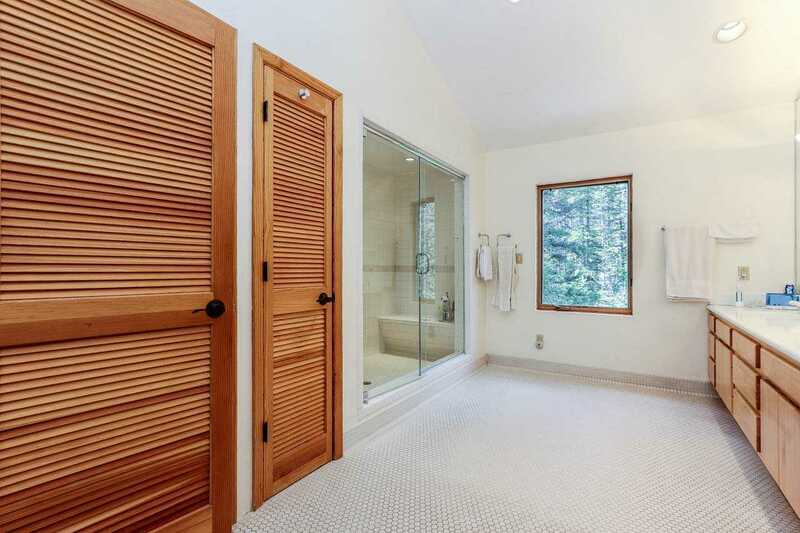 The master bath has honeycomb tile floors, a two-sink vanity, a large shower with a built-in bench and a steam shower, and two linen closets. 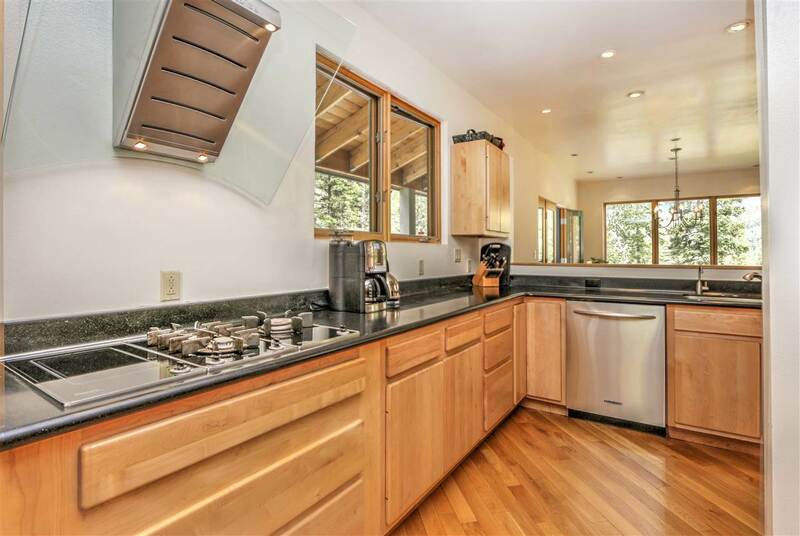 Up another flight of stairs, you'll find guestroom #3, which is currently an art studio, complete with built-in cubbies, a stainless steel sink, clerestory windows for extra warmth and brightnessâand easy-care flooring of rubber tile. Throughout the home, you'll love the open-tread oak stairs and oak floors, the fantastic built-ins, and the bright, warm interiors. and you'll appreciate the simple, clean lines of the design. The home is heated by radiant hot-water heating in the floor and additional wall-mounted radiators. 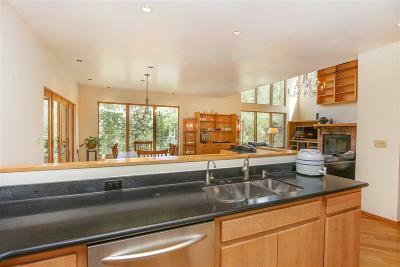 It has an on-demand water heater, two furnaces, and sewer and water from the Village of Taos Ski Valley. There are additional radiator-style heaters in the master bedroom and dining area, and the oversized two-car garage has a storage loft. 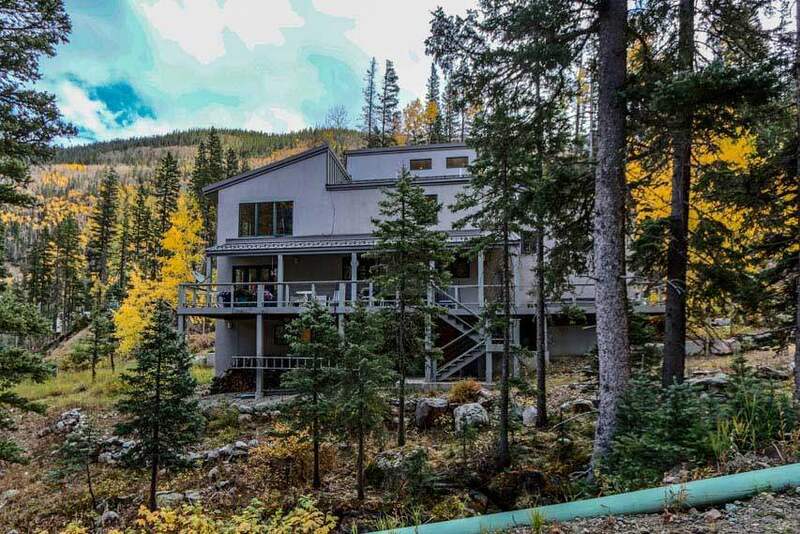 This gem of a home is waiting for youâthe skier, the hiker, the primary or secondary homeowner, the investor who'd like to own a vacation rental, the person who appreciates both quality and value.